The TYLT Energi sliding power case for iPhone 5s offers a fresh approach to the popular extended battery case theme. It consists of a sleek cover which slides into a 2,500mAh battery dock when needed. Established in 2011, TYLT has quickly established itself as a maker of mobile accessories which combine eye-catching, slightly quirky design and premium build quality. Read on to see how the company’s top-end iPhone 5s case fares on a daily basis! The TYLT Energi sliding power case for iPhone 5s comes in a nicely-looking retail package. Inside it, there’s the battery dock, two slim, slide-in cases (one black, and another from three available colors of your choosing), a microUSB charging cable, and a small extension cable for the 3.5mm audio jack. The sliding power case looks nice in the flesh. Thanks to its two-piece design, the TYLT offering can easily claim to be one of the best looking power battery pack covers around, as most entries in the segment are driven by functionality, not design. The slide-in covers impress with a slim waistline, and sports a clean look which consists of a single-color scheme and a large TYLT logo on their back. 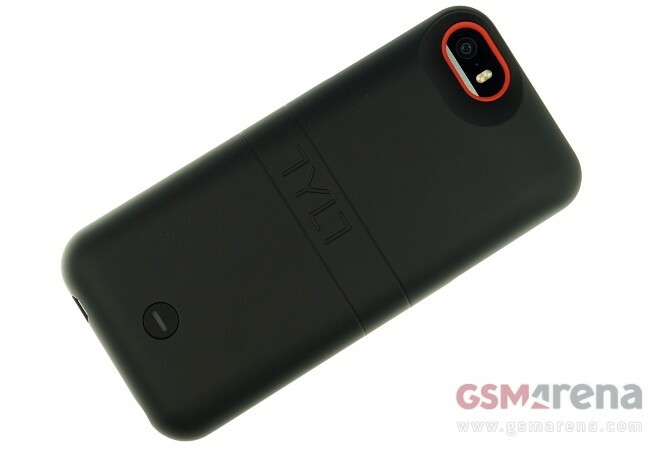 As far as keeping your phone intact, the TYLT Energi sliding power case does the job when in one piece. It covers all the edges of the device, save for the top front part. The slide-in case alone however, is not perfect on this instance – it leaves the entire bottom of the device exposed, so it is mostly good at handling scratch-resistance duties. Ergonomics of the power case are good. At 95 grams, the case is reasonably heavy considering the 2,500mAh of juice it has on tap. It is also easy to operate via a single button on the back, which also doubles as a battery indicator. The buttons of the iPhone 5s are easy to access, while Apple’s Lightning port gets replaced by a microUSB when the power case is on. An extension cable allows access to the 3.5mm audio jack which sits deep when the battery pack is on. All in all, the TYLT Energi sliding power case for iPhone 5s is one of the strongest entries in the marker for extended battery pack covers. Thanks to its two-piece design, TYLT’s offering does not require you to lug the extra battery pack around at all times. This quality alone makes it easy to recommend. The Alin tool helps users align a screen protector perfectly to their device. It is really simple to operate – you snap the iPhone 5s to the tool and apply the provided screen protector along the edges. In short, the Alin takes the headache out of applying a screen protector to your iPhone 5s. Considering its ease of use, it deserves a serious consideration. Unfortunately, the problem with putting screen protectors on is not always about alignment. The biggest issue are the small dust particles which inevitable get caught in-between the protector and the screen, causing air bubbles. There is no proper solution to those just yet. Have you got any screen protector installation tips to share? Go ahead – the comments section is yours. The TYLT Energi sliding power case and the Alin tool for the iPhone 5s are priced at $99.99 and $24.99 respectively. You can find them in the company’s online store over here.